The Chicago Animal Care and Control is currently extremely packed, and its canine tennants are in desperate need of adoption. The desperation is so palatable that the shelter is waving all adoption fees for the rest of October. Please consider welcoming your new best friend to his or her new forever home today. When you adopt, your loving homes become even more loving, and you’ll be sparing innocent dogs the heartbreaking reality of euthanasia. 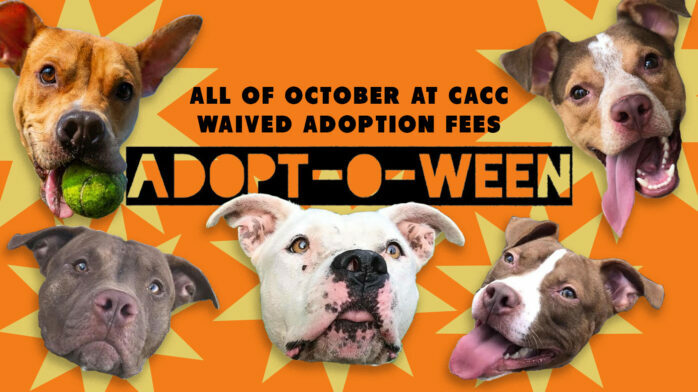 So head on down to CACC any weekday this October (from 12:00 p.m. to 6:00 p.m.) to meet the pups… Who knows? Maybe you’ll bring home one of your own! Isn’t it about time you adopted an adorable adoptable puppy? Yes, yes it is. Adoption hours are Monday through Friday, 12:00 p.m. – 6:00 p.m.